Home » Game Spotting » WreckFest development update. The development team is working on a lot of small issues that might not seem significant, but can have ab impact on the overall quality of the game. At this time it is not clear that all changes and features will make it to the next build. The team is aiming to release the new update in time for the holidays. First of all the multi-player options. One of the functions that is implemented is the option to disable the Reset function. 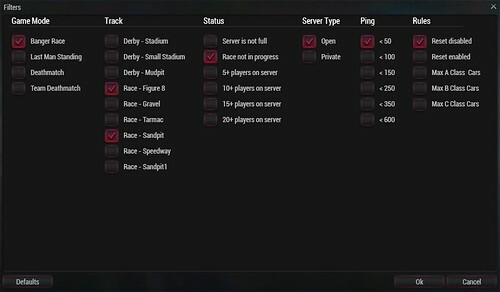 This way, when you set up a server you will have a toggle button preventing anyone on the server the Reset the session. A small but often requested feature, are the server filters. Bugbear is planning to add several filters to make it easier to find certain tracks, game modes, car classes or ping rates. 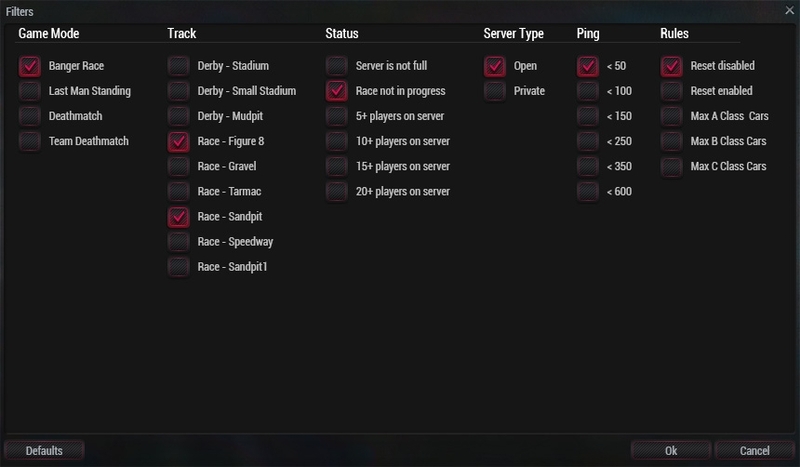 You will also be able to switch cars and tracks in the lobby. 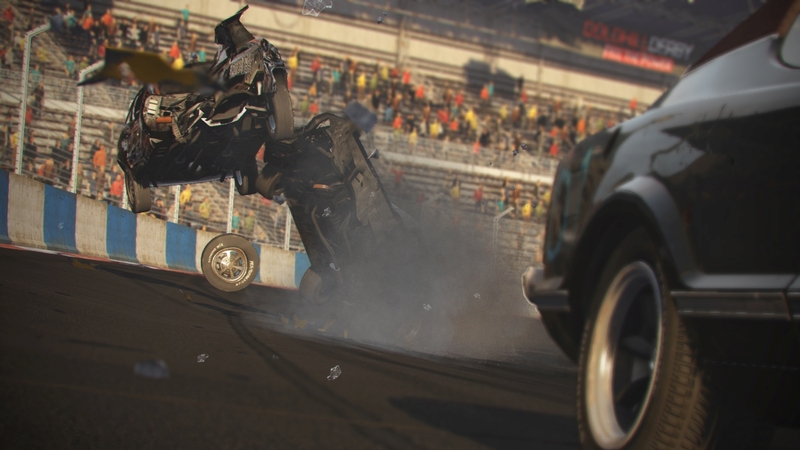 You will no longer have to quit the race to be able to choose a different car. 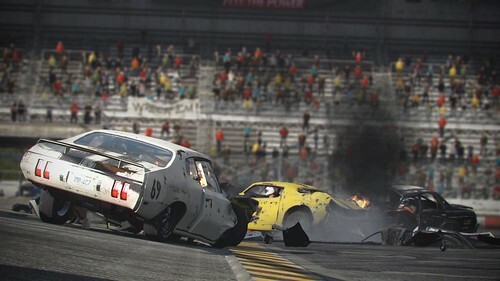 Furthermore, the dev-team is developing a brand new tire model. This is a long term development, and will need some time. 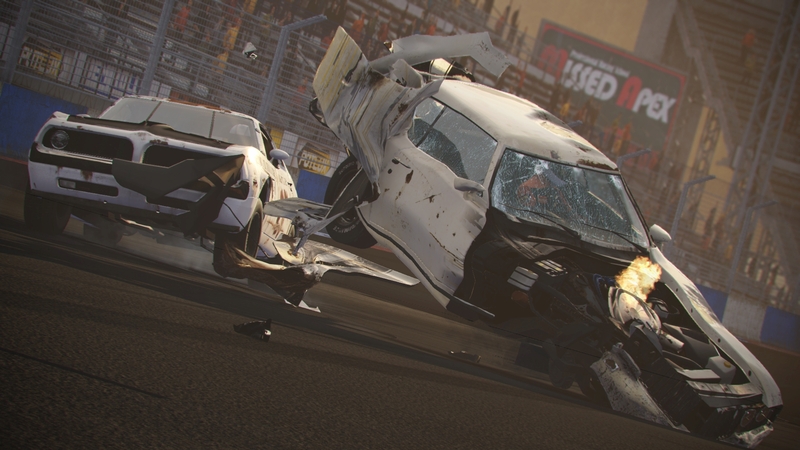 The tire physics have an influence on crashes, slides, swerves and so on. So extensive testing will be needed. Last but not least, the game menus will be re-designed to make it easier to navigate.